Supporters and followers of Trade Fantasy Football may have noticed my absence this season. This was intentional, although we did hope to have another writer fill the place of The Rookie. My job for our inaugural season was to provide basic information for beginners as I learned the in and outs for myself. Obviously this role would have to be a limited engagement because this season I am no longer a beginner. In fact, I am leading a national fantasy football league that I am involved with. That means there is an opening on our roster for the remainder of the season. If you are new to the game of fantasy football and would love to share your new-found love (or hate) of the sport in front of a worldwide audience- we’d love to hear from you! This opening may also be filled with another writing role. If you are a fantasy football expert and have an idea for a segment that will compliment our site, contact us as well. Currently we are a small organization with large ambition. We’d love to expand our team with like-minded individuals. If you are interested in learning additional details contact david@tradefantastyfootball.com. As for me, you can keep up with my writing on one of my many other blogs at World of Snacks. I truly enjoyed being a writer for Trade Fantasy Football and will stay on the team in a different role. I look forward to working with a new expert in the near future! 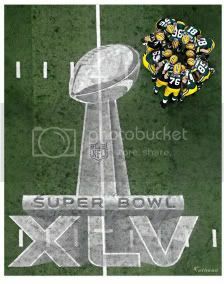 Well fantasy football newbie‘s we are nearly half way through the 2012 regular NFL season. By now you have a grasp for the game and most likely no longer feel like a beginner. If your team is doing well so far, congratulations! If your team is struggling than most likely you’ve ignored my How to Trade Fantasy Football article (and several others). At this point if you need a jump start you absolutely have to get trading. Not everyone is keen on negotiating, if they were we’d have a world full of car sales men and real estate agents! The biggest complaint I hear from fantasy football fanatics is whether or not the trade is fair. In my head I am screaming to myself saying “you don’t want the trade to be fair!” The art of the deal is getting the deal, not making sure everything is equal. This is why kids get a trophy in little league even if they are in last place. No offense, but if your kid is in last place that means he/she is a loser! Luckily for the most part I keep my comments dialed back and advise them to visit our site, Trade Fantasy Football. Our main focus of the business is to help people with trades. We can always tell you if the trade is fair, but more importantly we’ll advise you on how to make the trade equality tilt in your direction. We don’t believe in giving a trophy to last place, we want our followers to be winners! Now if you are a rookie comprehensive trade analysis sounds pricey. Guess what? Our service is completely FREE! Even more important than free, we have a team of experts that are not rookies like me! So submit your fantasy football trade now and quit worrying about if the trade is fair. We are now in the midst of week 6 of the NFL season and by now fantasy football rookies should have their bearings and get the gist of the sport. With 5 weeks under your belt you should have an idea if Fantasy Football is something you are in love with and plan to continue doing. If you haven’t checked your team since the draft then antiquing may be a better way to spend your Sundays. Chances are if you are keeping up with my fantasy football blog you are hooked! Although my contributions to Trade Fantasy Football have solely been for beginners I am actually in my sophomore season. Last year I participated in a money league and ended up doing pretty well (although I didn’t make anything from it.) This year I am involved with several leagues and holding my own for the most part. My fantasy leagues for 2012 however, are all free leagues. Being I have and am participating in multiple formats I wanted to share my position on free vs. paid fantasy football leagues. Even though I did not make anything off the 2011 season, paid leagues are generally much more exciting. The potential payout not only makes winning more rewarding, it keeps all league owners active. From what I have experienced a free league only keeps the top performers and trash talkers interested. That means it’s possible to play a match up with you opponent starting players on a bye week! If you are researching, keeping up, and making adjustments on your team it can really hamper your enjoyment. As with any type of paid game play the question of legality often comes into question. As far as online fantasy football money leagues, they are 100% legal. Fantasy football is considered a game of skill and is not sports gambling. That means finding reputable and trustworthy online paid fantasy football websites comes with ease. Most of them even take PayPal to make it even easier. Some leagues even offer a weekly payout to the top performers. Although I am tech savvy and a web developer I still prefer to play money leagues with friends and family members. Now the laws on this form of play vary state by state- and being we are a business I have to advise you to do research if you want to get involved with this type of play. In conclusion if you are on the fence deciding if you should play a paid vs. free fantasy football league, throw a few bucks at it and get ready for even more excitement! Have you noticed some key players on your fantasy football team ending the week with no points at all? What about some weird short hand or single red letters next their name when you are setting your lineup? These clues are signs that your player may be injured. For rookie fantasy football team owners catching an injury may not be as straight forward as you think- and not paying attention to injuries can cost you a win. The 2012 NFL season is still young yet the injury count of key fantasy players is pretty high. Factor in the amount of questionable or probable players and the list of injured players becomes staggering. If you are an expert or seasoned vet making changes to your lineup comes second nature, but for people new to fantasy football this simple task can be overwhelming. Once you’ve determined you have an injured player it’s time to start making moves. The first step is to research the player’s injury and see if you can project if and how long they will be out. If the injury is severe and they are going to be out for the season it’s time to drop the player. If the projection is only a handful of games and they are a key player then consider moving them to your bench. If you used our NFL draft guide or just paid attention during your draft your bench should include a substitute that may score a little less but still keep your team competitive. If your depth is not where it should be you have only a handful of options to fill the void your injured fantasy player has left. The quick way to search for fantasy team replacements due to an injury is to hit the free agent market. On most online formats you select add player, look through a list with some stats, choose a player, and then be prompted to drop someone from your lineup. If your league is made up of several newbies and it’s not a big league then you should be able to find some decent talent here and your season is saved. If the pickings are slim your only option is to get trading. To refresh your memory on trading I suggest you take a look at our How to Trade Fantasy Football article. This will guide you step by step and help you locate a key substitution for your injured fantasy football player. If you’d like some personal help from one of our experts than you are in luck! Trade Fantasy Football include a trade submission form on the homepage and dealing with injuries is their specialty. This will give you a second opinion and a push in the right direction, and best of all it’s completely free! When you encounter an injury for the first time on your fantasy football team it’s easy to panic. Hopefully these simple steps will help you calm down and get to work on saving your team. The experience of dealing with an injury on your team is unfortunate for the athlete, but with a little preparation and understanding it doesn’t have to be a serious problem for you and your fantasy team. It’s hard to believe week 3 of the NFL season is already here. For most fantasy football rookies this is where you start to gain an understanding of the basics. However, just when you think you have it down a new variable emerges. This new point to consider is best known as NFL Bye Weeks. Chances are you noticed a mention of bye weeks during your fantasy draft, but if you are like most beginners you may have just looked over it and assumed it was another one of those statistics you’ll worry about later. Well starting week 4, it’s time to start worrying! Luckily for you I am taking time to let you know in advance so you can be prepared. So what exactly is a bye week? To keep it short and simple it means that certain teams are sitting out, which could and will eventually leave large holes in your lineup. If you didn’t pay attention during the draft this may be detrimental to your team. Next week the Indianapolis Colts and Pittsburgh Steelers have a bye week. Both teams have some key players that will be missed. Hopefully you have players on your bench that you can shift and fill the gaps. If not it’s time to get started. First off I will address a strategy that I have noticed many experts recommending. Several fantasy football gurus are saying don’t worry about the bye week and just chalk it up as a loss. Maybe it’s because I am a rookie myself, but why would you want to go down without a fight? You do not have to sacrifice your key team members to make changes. You do have bench don’t you? Now some leagues do not allow trading and other maneuvering acts but chances are if this is your first or second season of fantasy football you are not in that type of league. Now let’s save your week! Once you’ve determined what and who you need it’s time to enact your bye week strategy. One approach to locate key players is to get trading. This will most likely be the most time consuming and difficult method. However your hard work will not go unrewarded. Trade moves will give you chance to lock in better talent that other bye week strategies. You may also pick up someone better than your normal starter. If you want to dive in the deep end to fill your gaps be sure to check out my article published last week, How to Trade Fantasy Football. An easier bye week strategy is to pick up a free agent. In fantasy football a free agent is a player who is not currently assigned to a team’s roster. Depending on your league you may also have a waiver system in place, but the key point you need to take away is that these are players that are up for grabs! You will have to drop someone from your roster but for the most part this is the easiest way to find players to sub in on your bye week. This is my preferred method as a beginner. With a basic understanding of these Fantasy Football Bye Week Strategies you should be able to navigate through the next few weeks making critical moves and avoiding holes in your line up. Keep in mind the bye weeks continue until week 11 and the number of teams sitting out increase starting week 5. Remember, just because you are a rookie doesn’t mean you have to play like one! Week two of the 2012 NFL season will conclude tonight with Monday night football. By now you have a feel for your team and you are either dominating or in need of a little lineup change. Chances are you have a few key players on your bench but that might not be enough. Being my focus is to help beginners understand how to play fantasy football I thought now would be an appropriate time to introduce you to trading. If you’ve never played fantasy before approaching a trade can be a little overwhelming. Depending on how your league is set up the details will vary a little. The actual motion of proposing a trade is pretty straight forward in most online leagues. Generally there is a button that is dedicated to proposing a trade, after committing to creating an offer the system will guide you through a few prompts and the offer is on the way to your opponent. Accepting a trade in fantasy football is even easier. You get a notification, review the terms, and then decide if you want to accept, decline, or counter. Now that the essentials are covered it’s time to talk trade strategy. Trading can be very rewarding both for your team and your entertainment. Some team owners will really find enjoyment creating and negotiating deals. Other teams may shy away- and if you are shy you better hope you drafted the team you’ll need to bring home the championship. I’ve broken the art of trading down into a few simple steps. Following these tips will assist you in navigating your first trade and ensuring you have a complete understanding of how to get the job done. Step one when considering a trade is to fist find your team deficiency. Make sure your needed position isn’t on your bench or on the waiver wire. Once you’ve found your hole it’s time to plug it. Next it’s to locate a player or players you think will add value to your team. You will also have to find a player that you think the owner would be willing to trade. If you opponent is a diehard Saints fan getting a player like Drew Brees in a trade will be nearly impossible. Once you locate a target you need to be prepared to offer some trade bait. Simply dumping your low scoring players and replacing them with premier players is not going to happen. Be sure to offer your opponent something of value, look for a weakness in their team so the trade makes sense to both of you. You may experience a little back and forth. Don’t be intimidated, this is part of the fun! If you are approaching a league vet or fantasy football expert, expect the first offer to be countered. Every experience will be different and factoring in the mentality and approach from the individual you are trading with will be a key factor. During games and other encounters listen for key words or phrases. Figure out what they need and who they are not happy with. A little research and reconnaissance will make trading more exhilarating and successful. Lastly, remember that we are here to help! The main focus of our website is to evaluate fantasy football trades. You don’t have to be on the receiving end of an offer to use are free service. Our team of experts has seasons of experience that you can take advantage of. Hopefully this will get you started in the right direction. If you encounter strategies or other tricks that help you please post comments below and share the knowledge. Chances are if you are reading this article late on Sunday during week one of the NFL season your fantasy football team may not be looking so hot. Not to worry, if you follow my column you are a “Fantasy Football Rookie” and it takes time to get the hang of things. My job is to help ease the pain and advise you on how to formulate a plan for your next attack on the unsuspecting team you face during week two. 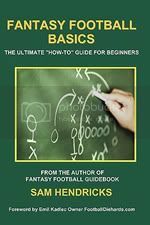 Below you will find a few pointers that will get you back on track or if you already have everything under control use these tips as a refresher course on Fantasy Football basics. It’s very common for novice fantasy football players to visit their roster once a week, select the line up, and never come back until game day. Chances are if you are just getting into fantasy football you are not a die hard fan who eats and breathes nothing but the sport. It’s easy to make snap decisions and walk away. If you care about winning, this method of choosing your line up absolutely will not work. I recommend watching Sports Center or at least browsing some NFL blogs or websites daily. Why not grab the iPad and do it when you are eating breakfast, or hit the computer right before bed? Finding 10 minutes a day to dedicate to your team will go a long way. Injuries are real and they do happen to key players. Be prepared and up to date then act accordingly. If you have neglected the above beginner fantasy football recommendation and you think you can jump in right before the first kick off, you are wrong! First off many newbies forget that there are often Thursday games. This costly error can be detrimental to your entire week. Miss some serious points from your stud quarterback? Good luck beating your opponent! I am not saying avoid game day line up changes, I am advising only make educated moves and spend some time researching your players. Even if that means a little less Madden time on the Xbox or PlayStation! Now I know it’s only week one, but understanding how trades work in Fantasy Football is vital to your success. Just because you are new it doesn’t mean everyone else in your league is. There are sharks ready to feed on your team. Watch for them closely. They will be the first to offer you a trade. They will try and be your friend, act like they are helping you out. Do not forget they are your opponent and nobody wants to be a loser even if they are new to the game. This does not mean you need to avoid trades. If you are soft in a position it will become evident in the next few weeks. Do not go crazy and start searching out trades now, it’s to early. But be ready when the time comes. Our company offers a really valuable tool that is completely free. When the trade offers come in or you are on the hunt for a new player. Visit the homepage of Trade Fantasy Football and submit your question. You have serious fantasy football experts at your disposal, why not use them? Monday night there is another game on and if you are waiting for the last of your team to finish enjoy the game. If you are set for the week and took a beating, be sure to keep your head up. I imagine most fantasy football rookies are ecstatic even if you didn’t win. You’ve just discovered an ultra entertaining and addictive new hobby. With my help and some of the other experts on our staff you’ll be dominating your league in no time! If this is your first season, now is the time to start preparing for your fantasy football draft. This is about the time most leagues starting sending invites and setting up a draft date. Did you know football season is only 24 days away? You’ll be enjoying a new world of fantasy football before you know it! If you still feel you are not ready to start your preparation visit one of my earlier articles, Fantasy Football Basics. If you have the basics down now is the time to get your ducks in a row. Below you will find my step by step beginner fantasy football draft preparation guide. With my advice you can take your league pros by surprise, or at least contend with them! As a Rookie following my own guide I was able to finish the season in the top half of my league (eliminated in the second round of the playoffs) and even win a few games against some of the Fantasy Football Experts featured on this website. 1. The first step as a beginner is to understand your league rules and regulations. Talk to your league commissioner to find out what type of Fantasy Football league you will be participating in. Once you know what you are getting into its time to ramp up the research. 2. If you are using Trade Fantasy Football you already know the value of doing a little homework. Start by finding a good source for fantasy related statistics and overall NFL news. Chances are if you are hosting your league online the website you are using will be a good start. Our experts are also currently producing their preseason daily team by team analysis. In addition to this onslaught of knowledge by our staff I also recommend the websites I used last season. Research is something that is vital in the preseason as well as the rest of the season. If you do not want to pay attention and keep up with football, you will not be successful with your fantasy team. How to play, enjoy and win Fantasy Football. Finally, an easy and straightforward way to learn how to play fantasy football. Learn the easy way. Everything you need to play. A book every beginner will enjoy Answers these questions: Why play fantasy football? Where do I start? How do I pick the right league? How do I score points? Who do I start each week? Includes: Explanation of NFL and fantasy football rules draft tips & vital resources to help. Foreword by Emil Kadlec, Co-Founder of the World Championship of Fantasy Football (WCOFF) and owner of Fantasy Sports Publications. And much more! 3. After you understand the value of research and get an idea of how you intend to tackle Fantasy Football it’s time to find a draft strategy. Chances are you are in a standard scoring league and will want to consider using value based strategy. This means you will look for players in each position based off how they rank against players of the same position. Another strategy, the one I went with on my first fantasy season, is to focus on overall rankings. I drafted top players regardless of their position. Optimally it may be best to utilize a hybrid of both and that is the way I will draft in the 2012 season. 4. Prior to draft day you will want to rank your prospects. Luckily this will be easy utilizing our preseason fantasy football player rankings. You may even want to refer to this list on draft day. 5. Something that really helped me last football season was creating a cheat sheet. Utilizing the steps above I created a one page reference guide that included who I was gunning for. Even though at the time I considered myself under-prepared against seasoned fantasy fanatics my homework helped my team become a contender and made my first season very enjoyable. 6. The last tip in my beginner fantasy football draft preparation guide is to leave your allegiance at the door. Do not go in and draft your favorite players or individuals that are on your favorite team just off the sake of drafting them. Sure it’ll be easier to keep up with the stats and breaking news, but chances are your team will not be successful. Last season I did break my own rule by drafting my favorite player, Tom Brady in the first round but that is as far as I took it. If you followed last season, you’ll know I didn’t make a bad move picking him up. If you favorite player is one of the top ranked players, then maybe you should and could make an exception. Overall however, you will want to concentrate on business. I drafted the same way I pick stocks, pertinent research and no emotion. After all, the object is to win! Following these beginner fantasy draft preparation tips will almost guarantee you not getting laughed out of the league on your rookie year. Chances are your draft day is just around the corner. So hit the research hard now and get your fantasy draft cheat sheet ready. Next week I will provide fantasy football draft day advice. Be sure to keep up with my weekly blog for this future article and beginner fantasy football tips and tricks throughout the season. Something that I am just now figuring out is there are many types of Fantasy Football leagues. With only one season under my belt I assumed I had the gist of it all. After doing further research to help with the development of Trade Fantasy Football, I have uncovered an in-depth and complex world of sports fanatics that I don’t know if I will every truly understand. While my colleagues are working feverishly to provide our advanced readers with preseason team by team analysis I figured I’d keep pushing through the basics. If you are new to fantasy football knowing your league type is the first step into understand what you’ve signed up for. Below you will find a break out of a few of the most popular types of Fantasy Football Leagues. The most popular type of Fantasy Football league is the Standard Draft League. This begins by players selecting their individual players in a winding format. After the draft team owners select their lineup each week based of the number of players allowed per position. This leagues is generally started with a standard draft. Each week teams face off against each other and the highest scoring team is awarded with the win. The best records advance to the playoffs ultimately leading to a championship game. In a total points league wins and losses are not a factor. Total points scored determine the leagues rankings and they are accumulated week by week. The teams with the highest overall points advance to the playoffs. This league type is for the ultimate fantasy football fanatics. To partake in a Dynasty League a commitment of multiple seasons is necessary. After the first season’s initial draft players remain on a team every season unless a player is traded or released. The only following drafts are for NFL rookies. This style of play allows for players to enjoy a more realistic experience of managing a team. This style of fantasy play is a little more challenging than a standard league. Each team owner is allocated a set amount of money to utilize in filling their rosters. An individual team owner bids on whomever they like and NFL players can end up on multiple teams. This style of auction works for both a Standard Head to Head and Total Points Leagues. Just like the popular TV show each week a team is voted out of the league. Well that’s not completely true. Each week the lowest scoring team is eliminated. This style of play can be combined with a variety of scorning types but works best as a Standard Draft League. The last team standing is crowned the champion. This type of league utilized stats of Individual Defensive Players as opposed to an entire defense. This is fun for true football fanatics and does require more of a time commitment for additional research. If this is the league play you are opting for be sure to keep up with our on-staff IDP Expert. A hybrid of sorts between a Standard Draft League and a Dynasty League. Annually new players are drafted with the exception of a few players owners are allowed to keep from the previous season. This allows you to keep your big scorers so you already have a foundation for your team to build on. Chances are if you are new to fantasy football your first season will be in a Standard Head to Head or Total Points League. These others are for the more serious and dedicated players. After getting the basics down the first year you may want to advance. Until then be sure to keep up with my weekly Beginner Fantasy Football blog that is dedicated to proving "rookie" information, insight, and tips. Stay tuned for my beginners draft guide that will be featured prior to draft day. Thinking about giving fantasy football a try this season? Whether you are a casual or die hard fan, fantasy football will make each game more entertaining and give you a reason to watch more football (as if you needed a reason.) With a vested interest in a variety of players through out the NFL, almost every game becomes worth watching. With bragging rights at stake you can even partake in a little trash talking with your friends. As my role at the Rookie my job is to provide knowledge for beginners. In the very near future I plan to release my beginner fantasy football draft guide, but before we jump ahead, let’s get the basics down. Well if you have never heard of fantasy football the name could leave you to believe it’s a variety of strange things. Fantasy Football is not as strange as it sounds, it is a season long competition between football fans and fanatics. Each participant becomes a team manager and selects members from their team in a draft. Each week two teams line up head to head and compete using a variety of scoring methods based of their team member’s performance for that week. How does Fantasy Football Scoring work? There are a wide variety of leagues types and scoring methods. For complete details you will want to get with your league commissioner (the guy/gal who oversees the league.) Although each league varies slightly there are some basics you can get under your belt. In most leagues a touchdown results in six points to the scoring team player as well as the quarterback. Field goals usually count as three points for the kicker with some leagues awarding additional points for distance. The kicker also brings in additional points via successful extra points. Offensive player can also receive points based of yardage, whether it’s passing, receiving, or rushing. Loosing points on the offense is also possible via interceptions and fumbles. Defense scores based off sacks, defensive touchdowns, and turnovers. Again these are the basics of scoring in Fantasy Football, expect your league to vary. How do you win in Fantasy Football? The object is to outscore you direct competitor each week. Generally your fantasy football league will end with a playoff and championship game. The playoff is usually the top teams of each division and the championship game is the overall winner of each division. 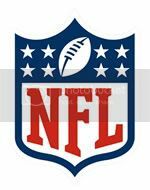 Fantasy Football playoffs do not coincide with the real NFL playoffs and he Super Bowl, they are generally played toward the end of the regular season. Well that’s fantasy football 101 wrapped up in a few short paragraphs. With this information you should at least have your mind wrapped around the general concept. Still not a fantasy football expert? Not to worry, each week I will dive in further into the basics of fantasy football and have you ready to go before draft day. With my help maybe you can be dubbed “Rookie of the Year” in your league! Web developer, marketer, and entrepreneur by trade - when approached with the project I was excited to be on board. The only problem, I don't know all that much about fantasy football. In my younger days I played Defensive Line in Europe but a background smashing heads doesn't really help with racking up fantasy football points. Last year was the first time I have even attempted to play FF. Learning the basics and doing research prior to the draft made me realize Trade Fantasy Football fills a void. My point of view as "The Rookie" may help other beginners. I imagine as time progresses my role as an "expert" will evolve...but until then feel free to learn along with me.